We’d love your help. 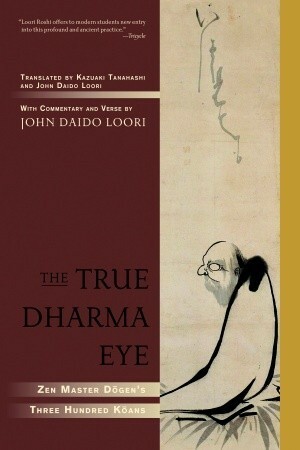 Let us know what’s wrong with this preview of The True Dharma Eye by John Daido Loori. To ask other readers questions about The True Dharma Eye, please sign up. So far this has been a challenging but worhtwhile brain-teaser. I don't expect to finish this anytime in the near future, though. It's definitely a thinky read - but still pleasurable.